i lied, it's in the thread above. and it's all about lies. THE DEATH LOTTERY OF VA, housing committees offer lottery of death - driver beamers, about the danger of democrats "being in control of high pay and also housing"
IT'S ALSO ABOUT GOV SEIZING LAND to "get land into their control"
IT'S ALSO ABOUT KAMALA dems - they want to kill off Long & Foster and RE/MAX and replace them with a gov controlled agency where gov workers get property and give everyone else "left overs". they also want to own and be the only housing builder that has any money to build - all federally funded. if you think housing is in shortage and high priced now: wait until kamala harris gets a hold of it!!!! if you think people freezing to death on the streets is bad, wait until you see death camps. The Fairfax County Redevelopment and Housing Authority will be opening the Housing Choice Voucher (HCV) Waitlist on Tuesday, January 29, 2019, 8:00 a.m. EST and it will close on Monday, February 4, 2019, 11:59 p.m. EST. *In the event of inclement weather, some on-site assistance locations may be closed. However, you may apply online at anytime during the waitlist opening period. To apply, one must register on the online portal and submit a pre-application for housing. No matter when you apply during that one week time period, you have an equal opportunity to be placed on the waitlist. 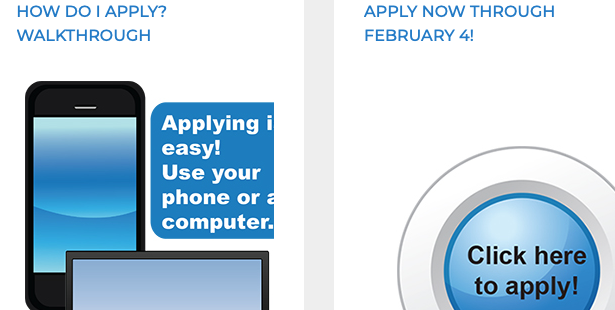 This pre-application can only be submitted electronically. THERE ARE ALREADY SEVERAL COMPETING "PHA" (hud 501c's you can say) IN FAIRFAX. they all have jobs and big houses - but the program they are running has NO HOUSING / shelter for the poor. buildings being used not for housing but for mere scam of offering housing that doesn't exist. Virginia is contracting CALIFORNIA and CANADA in running the scam - which is a "shell game" (illegal) and interstate fraud. "enjoy a number of benefits including lower vacancy rates, tenant stability, and free property inspections"
This is probably a line stolen from Long & Foster, a real USA business. People need to realize HUD FUNDING is for building shelter, not for government workers to steal the money to buy luxury homes. the system of having an ever growing number of committee steering government money and people shitting on the streets? You have to understand those evicted - by gov seizure or by simple business, do not have 2-6 yr to wait. in prison 1/2 of all whites jailed in VA (many jailed without a trial) died. most or all were not in for a death penalty. but they GOT A DEATH PENALTY. there are group homes for those `without housing` but those usually are "always full"
it's why "hillary for prison" became popular. it was a slogan against rich government - not any knowlege by americans hillary might be indicted on technical election crimes. Terry help set up the death lottery system. He falsely arrested (R) Bob McDonald to get in office. > lottery in the Old Dominion. It's f'ign amazing how retarded unemployed old people are. Bumping the same demented post all day and whining about not getting any attention.